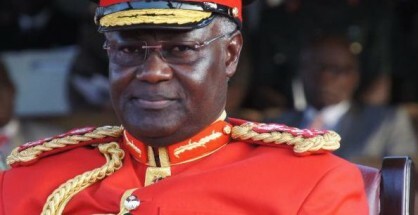 Since the imposition of the state of emergency laws by president Koroma last year, seen as a necessary measure aimed at curbing the alarming rate of Ebola infection and transmission across the country, there are now serious concerns that the ruling APC party is using those restrictions as a weapon against political opponents. Calls for the lifting of those draconian restrictions, ending months of politically motivated and indiscriminate curtailing of the movements of those opposed to the government, are also growing louder. ‘End the state of emergency laws now’ – has become the new slogan of the politically oppressed. 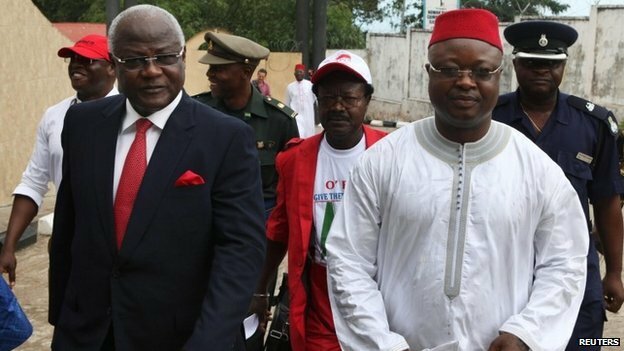 Many in Sierra Leone strongly believe that president Koroma’s abuse of the state of emergency powers is now beginning to drive opposition activists underground, as security forces in the country continue to routinely harass, intimidate and arrest those that dare speak out. Since the arrest of a group of opposition SLPP stalwarts at a residential location where they gathered to celebrate the Easter holidays, the spate of politically motivated arrests has risen sharply. Civil liberty activists in Sierra Leone are strongly criticising the government’s selective use of the state of emergency laws. They accuse the police of turning a blind eye on ruling party supporters organising public meetings and marches without any interference or hindrance. The current wave of political intimidation and arrests are reminiscent of the APC one-party police state, which reigned with iron-fist throughout the late 1970s and 1980s, creating the conditions that led to the brutal rebel war in 1991, with over 200,000 lives lost. Last week, the country’s Human Rights Commission, published a statement expressing serious concern over the increased abuse of the state of emergency powers for political reasons by the government. “The Human Rights Commission of Sierra Leone (HRCSL) is concerned about the implementation of the Public Emergency Regulations 2014 by the Sierra Leone Police (SLP), particularly the discriminatory application of Section 15 which derogates the Right to Freedom of Assembly and Association. HRCSL observes that some groups of the citizenry have been allowed to assemble and exercise their rights to express their views without hindrance, other groups have been denied the opportunity to do so by the SLP. HRCSL reminds Government of its obligations under International Law to protect, respect and fulfil basic rights and fundamental freedoms even during State of Emergencies, such as: Freedom from discrimination, Right to a fair trial, Freedom of thought and conscience as stated in Article 4 of the International Covenant on Civil and Political Rights (ICCPR). HRCSL further reminds Government of its obligations to respect International Treaties to which it is a signatory and as provided for in Section 10 (d) of the Constitution of Sierra Leone, 1991 Act No.6 of 1991. The Commission draws Government’s attention to its recommendation in the State of Human Rights Report 2010 that “GoSL should ensure that the right to hold peaceful, open and public demonstration is available to all individuals, groups or political parties without undue restrictions” (pg41, par 3.1.7). Furthermore, while it is understandable that the SLP has a duty to protect life and property and to maintain law and order, the right to hold peaceful demonstrations should not be withheld. The SLP should be provided with adequate resources to maintain law and order when the right to hold peaceful demonstration is exercised by various groups. HRCSL calls on the SLP to ensure that all individuals or groups of individuals have equal opportunity to exercise their freedom of Assembly and Association within the ambit of the law and to observe the principles of consistency and non-discrimination in the implementation of Section 15 of the State of Emergency Regulations 2014. The Commission urged the SLP to maintain their professionalism even during this State of Public Emergency and calls on the government and members of the public to respect and uphold the law. The opposition SLPP that has largely borne the brunt of this spate of politically motivated arrests and intimidation under the cloak of Ebola, also released a press statement, condemning the government. But falling short of calling for its elected representatives in parliament to boycott proceedings in parliament until the government lifts the state of emergency laws, the SLPP is calling for the immediate and unconditional release of its arrested members. “We warn that any effort to curtail our citizenship rights can only harden the resolve of our membership to act outside of the guidance and control of the leadership of the party to counter the undemocratic and partisan actions of the Police Force,” the SLPP warns. The Sierra Leone Peoples Party is disturbed by the continuing wave of illegal arrests of our members by the Sierra Leone Police (SLP), allegedly on “orders from above”. 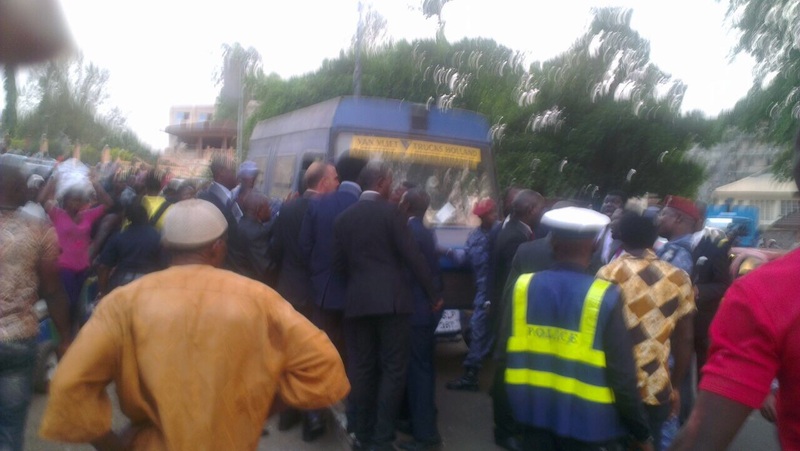 The public would recall that a group of Concerned Sierra Leoneans, including some young members of the SLPP held a peaceful protest at the United States Embassy in Freetown, Thursday, April 16th, 2015 in demonstration of their disagreement with President Koroma’s unconstitutional removal of the elected Vice President. From all indications, the protest was entirely peaceful and the protesters conducted themselves within the ambit of the law. At the time of the demonstration, the SLP saw no rationale to effect arrest. It is therefore bewildering that the Police have now chosen to raid the homes of people they suspect were part of the protest and to arrest them after the act. 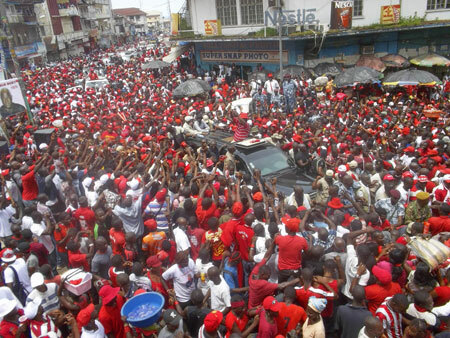 While they were arresting our members for holding a peaceful demonstration on the grounds of the US Embassy, a rowdy crowd of ruling party supporters converged at Bottom Mango at Wilberforce and at the Lungi Airport grounds, Sunday April 19th, 2015, singing and dancing in demonstration of their support for President Ernest Bai Koroma. None of these have been arrested for their act, which we entirely support as legitimate. By their actions, the Sierra Leone Police has posited itself as a partisan outfit that dispenses justice based on partisan colours at the behest of “orders from above”. We totally condemn this undemocratic and nefarious conduct of the leadership of the Sierra Leone Police (SLP). We warn that by insistently portraying itself as the armed wing of the ruling party, the SLP stands the risk of forcing legitimate and constitutional actions of our members underground and out of the control and supervision of the leadership of our party. In the event, the SLP and their ruling party cohorts will hold themselves to account for any untowardly action that may arise from their unprofessional and cowardly conduct. We demand the immediate and unconditional release of our members. We warn that any effort to curtail our citizenship rights can only harden the resolve of our membership to act outside of the guidance and control of the leadership of the party to counter the undemocratic and partisan actions of the Police Force. 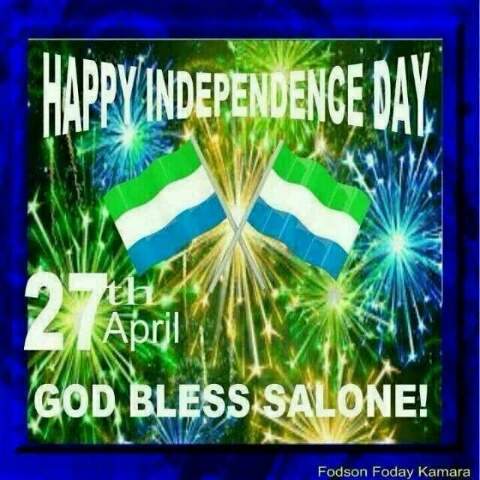 Tomorrow, Monday 27th April 2015, marks the 54th anniversary of Sierra Leone’s attainment of independence from British colonial rule. But for many in Sierra Leone, there will be nothing to celebrate. The country is bankrupt after years of corr uption and poor governance. Despite 54 years of independence, there is little evidence to suggest that self-rule has yielded the economic prosperity and political maturity promised in 1961. Today, notwithstanding the ravages of the Ebola crisis, Sierra Leone has for the most part of the last five decades, classed among the poorest nations in the World. And, with civil liberty and democratic freedoms now being shackled by those entrusted by the people to act as custodians of the nation’s Constitution, the country is once again fast heading towards communist dictatorship.